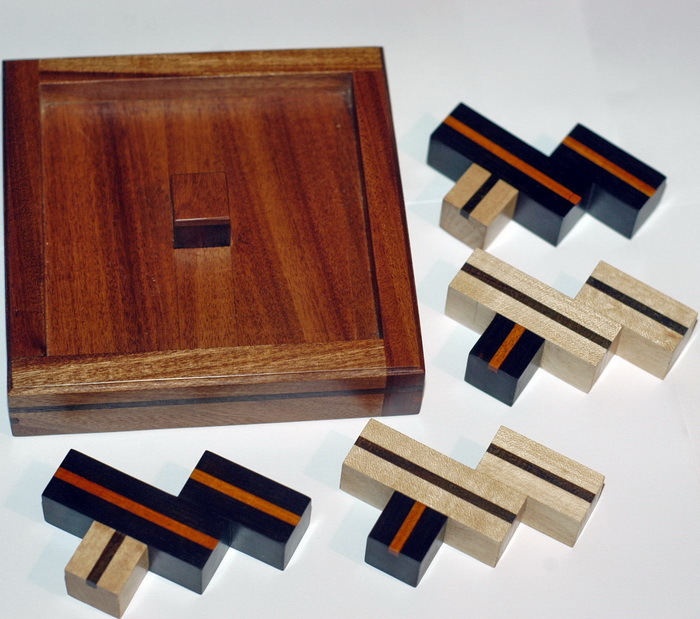 Tray and Pieces :mahogany,chakte viga,Ebony,Maple.. The Goal of the puzzle is to put the pieces inside the tray.The fun part is the name of this puzzle. If you enjoyed playing with it at the International puzzle design competition 2013 (IPP33 japan)then i am happy. The puzzle in the future will have a lid with one piece as a handle.More pics in the future. See more pics of the "inpossible" puzzle.or Back to puzzle index.